It’s a BAD plan that isn’t working for anyone: pedestrians, cyclists, businesses, neighbors, commuters, emergency responders, beachgoers or tourists. 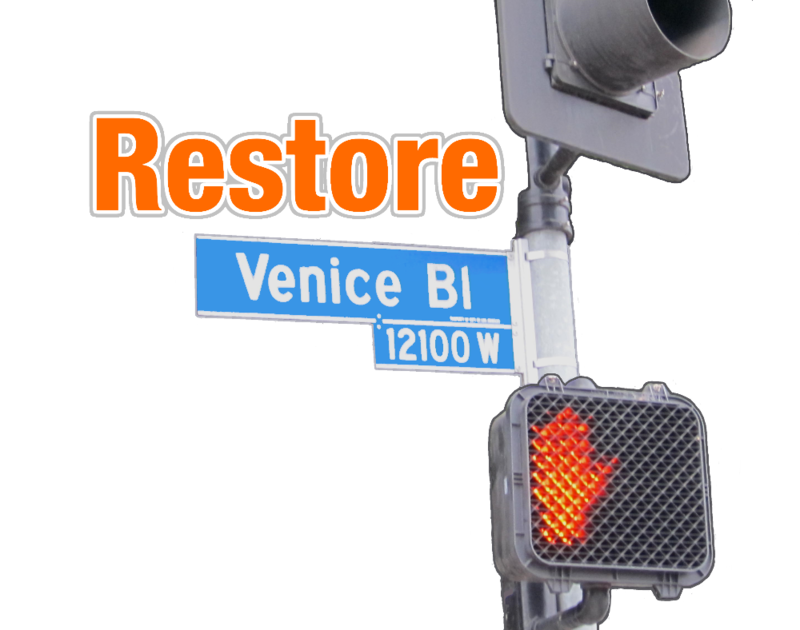 The City sold a one year "pilot project" to the community to beautify Venice Blvd. and increase customers for local businesses. Instead, they stole lanes from motorists to make Venice Blvd. “safer” - when there hasn’t been a pedestrian or cyclist death here since 2005. Before the lane theft, traffic on state-owned Venice Blvd. flowed well, even at peak hours. 46,500 to 52,000 cars traveled on Venice Blvd. daily (CalTrans, 2016). After the lane theft, only 31,000 cars a day use Venice Blvd (LADOT, 2017). So where did all those cars go? Onto the surrounding streets, creating havoc in neighborhoods where kids play and neighbors walk their dogs or take a evening stroll. 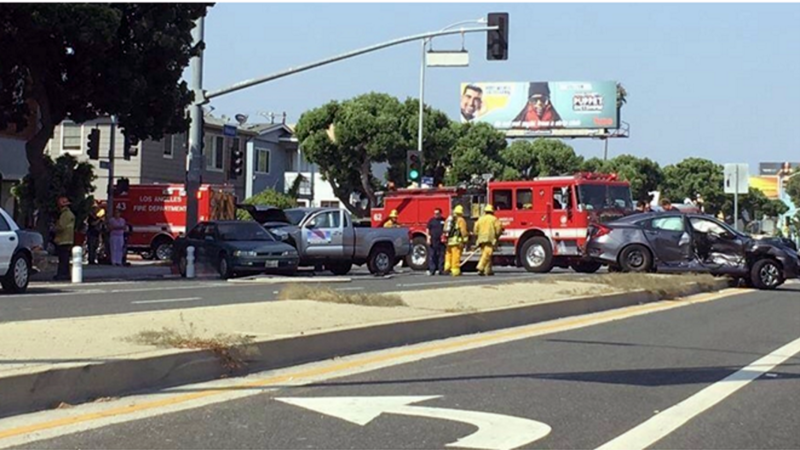 Locals avoid Venice Blvd. and go elsewhere to dine and shop, no longer patronizing local businesses. 74% of residents polled in Mar Vista, Venice and surrounding neighborhoods are AGAINST the lane thefts. 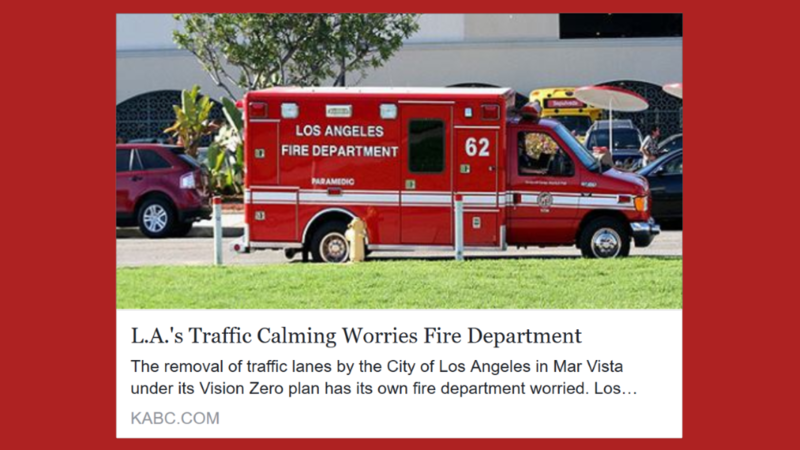 They want the pilot project ended and the lanes on Venice Blvd. restored now. Give us back the Venice Blvd. that was working for everyone. 1. Lawsuit: We filed a CEQA appeal lawsuit in June, 2018 on a new streetscapes plan that will keep what is on Venice Blvd now and extend it down to Lincoln Blvd. This lawsuit is currently preventing more lane thefts from being implemented on the Westside. In addition, we can add more non-CEQA causes of action to this lawsuit if we have the funds. Please give generously! More information at WLAneighbors.org. 2. CA Public Records Act requests: We will obtain information that the City of LA is currently not providing the community. We will get any and all traffic and enviromental impact studies done before and after the implementation of the Great Streets - Venice Blvd "pilot" project. We also will obtain any written explanations and feasibility studies justifying the reduction of vehicle lanes. We will demand to see in writing the metrics for success for this "pilot" project. 3. Ongoing Community Outreach & Mobilization: We will harness the grassroots power of the hundreds of thousands of Venice Blvd. stakeholders. Our outreach efforts will include: a website, flyers, yard signs, mailings, videos, social media as well as community meetings, protests and events that will keep this issue front and center with Councilman Mike Bonin, Mayor Eric Garcetti, the Los Angeles Department of Transportation (LADOT), L.A. Great Streets Initiative and news media. Who are we? We are a group of neighbors from Mar Vista, Venice, Culver City and beyond who are all affected by the surprise lane reductions on Venice Blvd. We found each other while discussing the issue on Nextdoor. We are now a project of the non-profit Westside Los Angeles Neighbors Network. What are we doing? 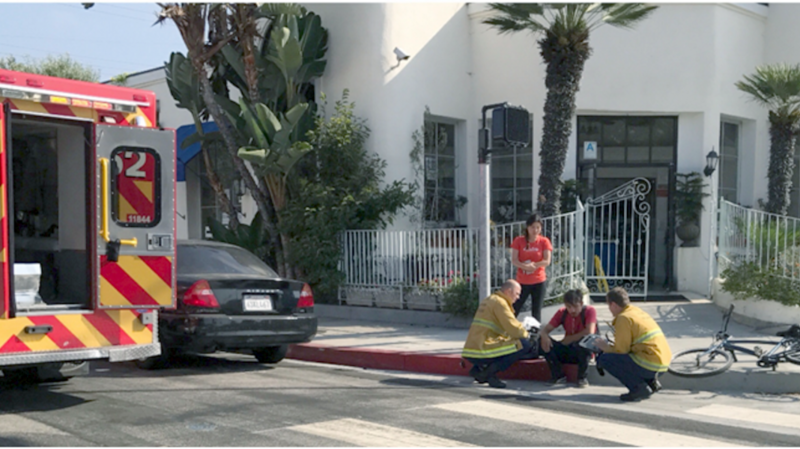 We have come together to form a coalition to campaign against this unsafe street project implemented by Councilman Mike Bonin, Mayor Eric Garcetti, the Los Angeles Department of Transportation and the L.A. Great Streets Initiative. What is our mission? 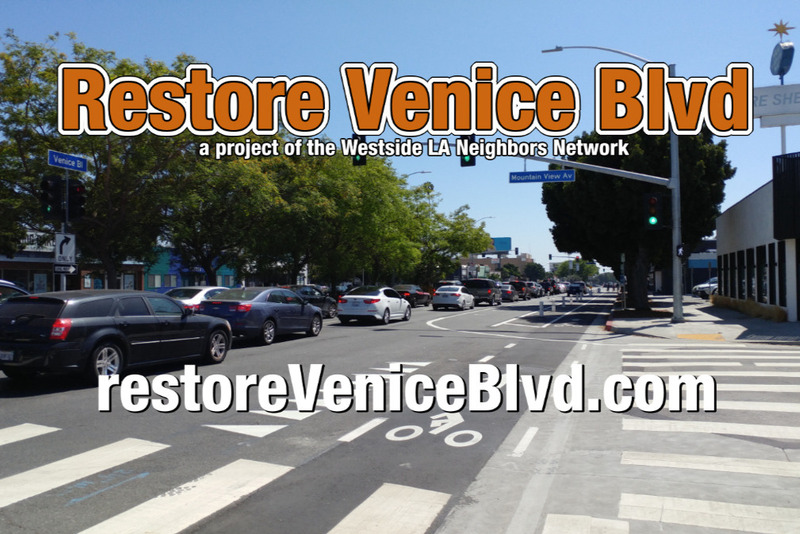 To restore the 3rd lanes for vehicles on Venice Blvd. We want the City to go back to the drawing board and create a smarter, safer street that meets the needs of everyone using it. We want them to listen to community feedback and include all Venice Blvd. stakeholders in the planning process. Where the funds will go? 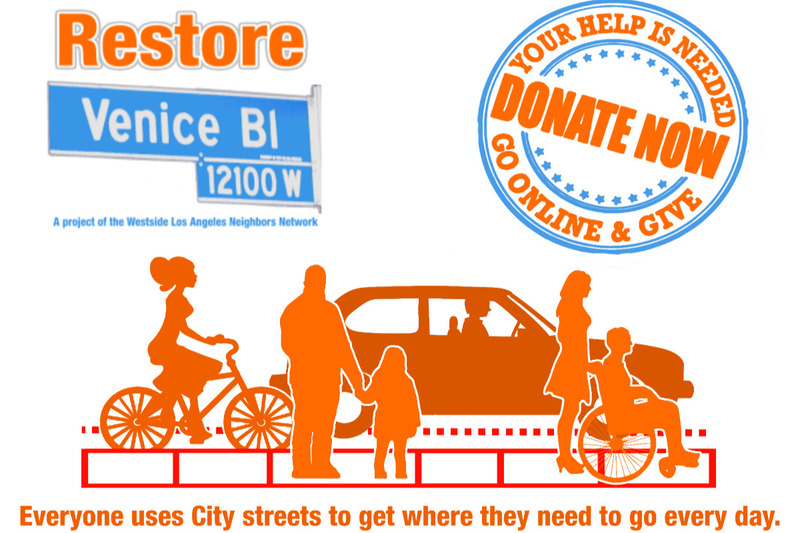 Every penny will go towards activities designed to achieve our mission of restoring the third lanes for cars on Venice Blvd. NOW. How will the funds be spent? 100% of the funds raised will be used for goods and services to support our lawsuit and community-driven campaign. They include things like: advertising, graphic design, printing, mailings, web design, website maintenance, meeting facility rentals, event (protest) permits, lobbying and legal advice. We've caught them doing it again! LADOT filed another CEQA Notice of Exemption for Great Streets Venice Blvd. on 12/21/2018. This time we were looking for it! 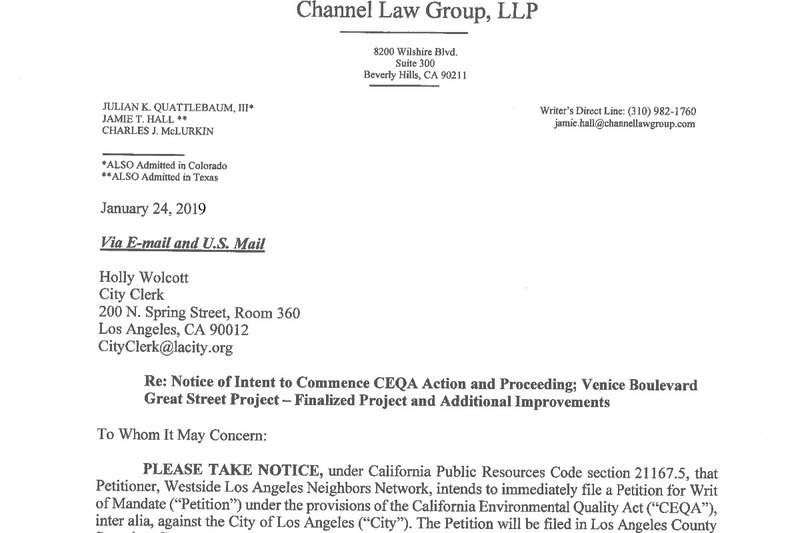 We filed an appeal with the LA City Council and a CEQA appeal lawsuit on January 24, 2019. You can read more about the new lawsuit at https://www.wlaneighbors.org under the Legal and News tabs. Now we need your help to raise money ASAP for the filing and lawyer fees. Make your donation today. Thank you so much! HOUSEKEEPING NOTE: This GoFundMe campaign is now a group fundraiser for the Westside Los Angeles Neighbors Network. Original GoFundMe organizer Selena Inouye is now the team leader, as well as the President of Westside LA Neighbors Network, which has applied for 501(c)4 nonprofit status. Lawsuit: We filed a CEQA (California Environmental Quality Act) appeal lawsuit in June, 2018 on a new streetscapes plan that will keep what is on Venice Blvd right now and extend it down to Lincoln Blvd. This lawsuit is our best opportunity to reverse what is on Venice Blvd. due to the environmental concerns created by the peak hour gridlock and cut through traffic. In addition, this lawsuit is currently preventing more lane thefts from being implemented on the Westside, on Centinela Ave in Del Rey, on Pico Blvd. in West LA and on Motor Ave. in Palms. We can add more non-CEQA causes of action to this lawsuit if we have the funds. Please give generously! More information about our lawsuit can be found at WLAneighbors.org.